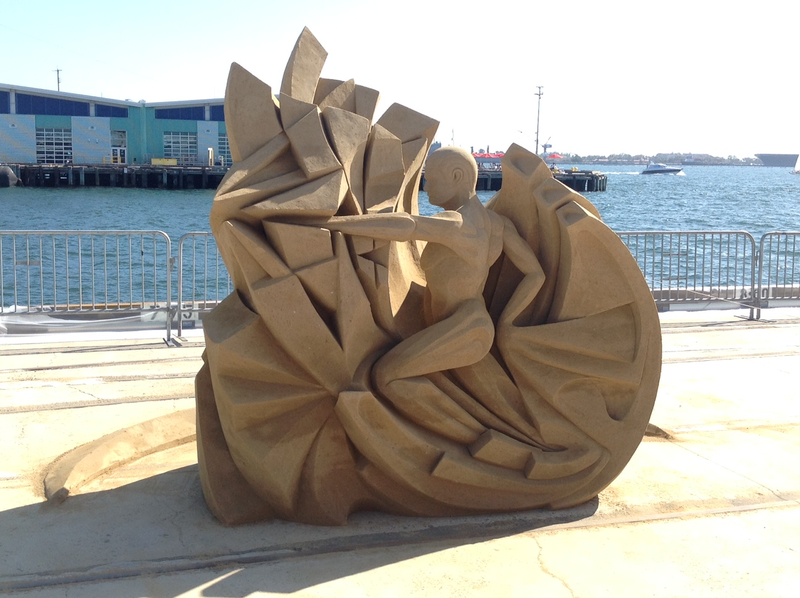 The US Sand Sculpting Challenge and Dimensional Art Exposition is coming soon to San Diego, and I have something awesome for you! 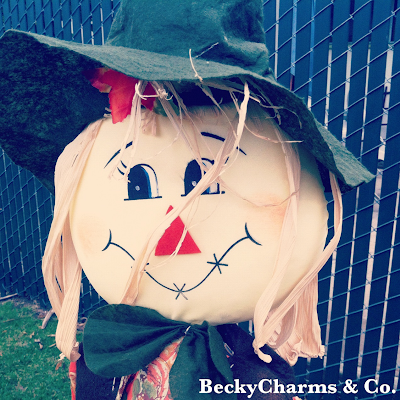 I have an incredible PRIZE PACK for you to win! Scroll down to find out HOW TO WIN!! ....and you know there's going to be FOOD!! "USA Today has named it one of their 10 Best and American Express calls it one of the top 20 “Must See” seaside events in the world." 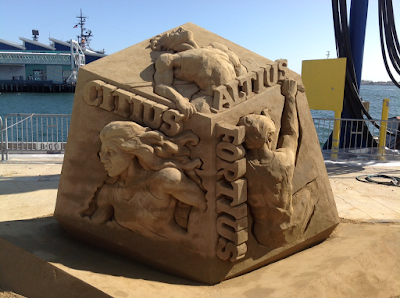 Last year was my first year attending the US Sand Sculpting Challenge and Dimensional Art Exposition. I took my family and let me just say, we were ALL amazed and impressed by the incredible talent of each sculptor. Watching them carve out sand, which we know to be so delicate and hard to manage, and getting it to stay together is almost magical. If you're like me and love design, then I know you'll love seeing these artists. They come from all over the world to compete and demonstrate against the best sculptors in the world. 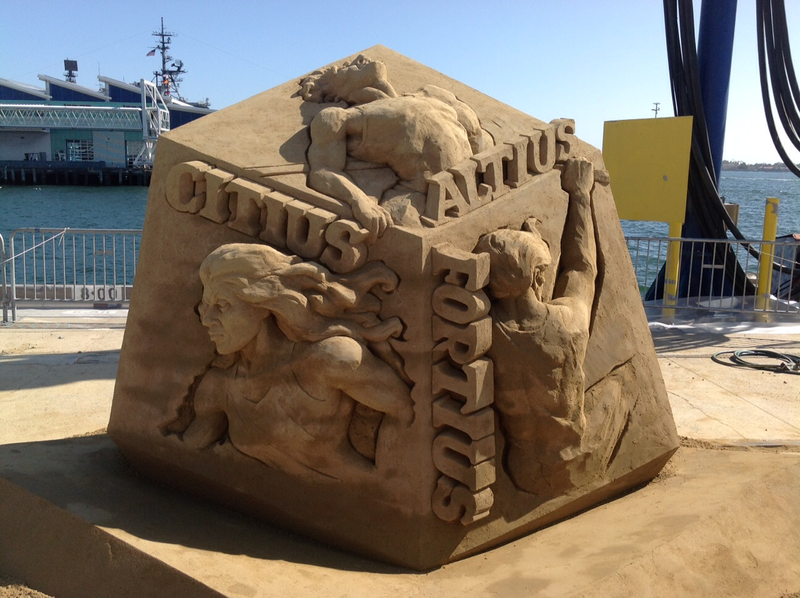 "...world’s best sand sculptors from Singapore, Italy, Ireland, the Netherlands, Russia and Canada challenge the best from the U.S., carving magnificent sculptures that can be seen nowhere else." · The San Diego School of Creative and Performing Arts is a public arts magnet school that was named one of the best in the Nation by U.S. News and World Reports. 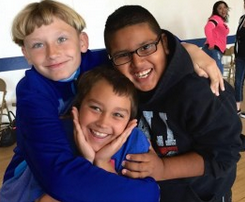 Students are bussed from throughout the San Diego Unified School District and take classes in theater, music, dance, visual arts, video production, stagecraft and creative writing along with regular academic subjects. It’s All About the Kids Foundation helps less fortunate children through a network of 14 San Diego charities that have served over 11,000 kids. 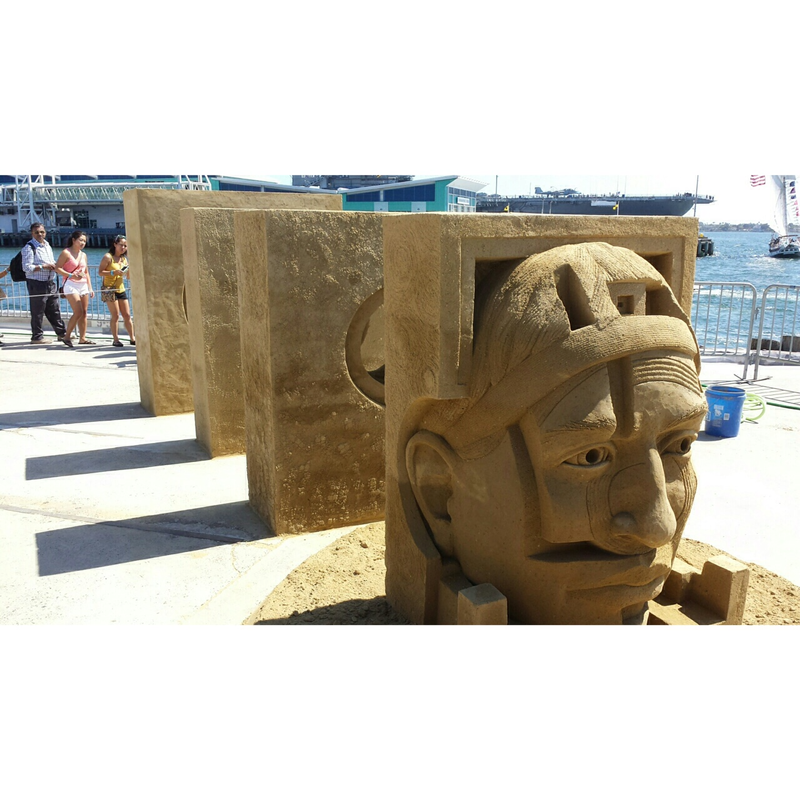 San Diego is the perfect location to host the US Sand Sculpting Challenge. With our beautiful sunny weather and picturesque bay views, a day out on the pier is exactly how you want to spend the weekend! DO YOU KNOW ANYONE IN THE MILITARY or POLICE?? Active Military, Police, Fire, EMTFREE on Friday. Show I.D. at gate. Do NOT buy tickets on-line. All other days: Buy tickets for senior price and show I.D. at gate. I'm hungry. Are you? Yes... RIGHT?!?!?! There is a whole list of gourmet foodies and foodie providers who will be serving up their finest. Click the pic for details. Scroll below to find out HOW TO WIN!! Visit the website for specific times and the weekend schedule of events. This is a family-friendly event. They had so much fun stuff for my daughter to do last year, that I know this year will be even better. The kids loved the bubbles and sand pit, plus floating inflatable balls to run in and lots of live music and treats. 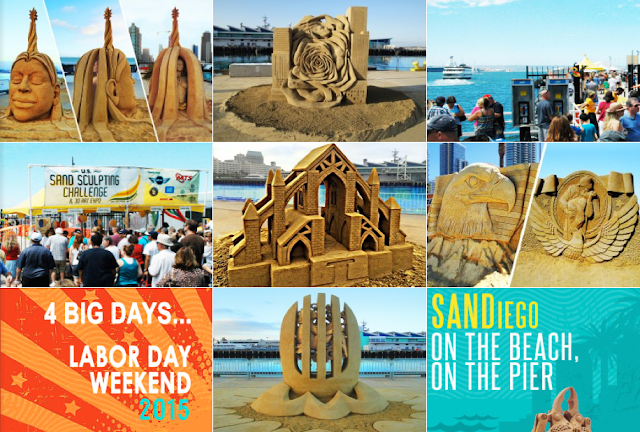 Enter to WIN a FREE Family 4 pack of tickets to attend this amazing US Sand Sculpting Challenge art event in San Diego happening Labor Day weekend. Best of LUCK!! See you there! !